Make the best use of your space with these multi-map sets, mixing and matching any wall map title in the Advanced Physical Wall Map series. 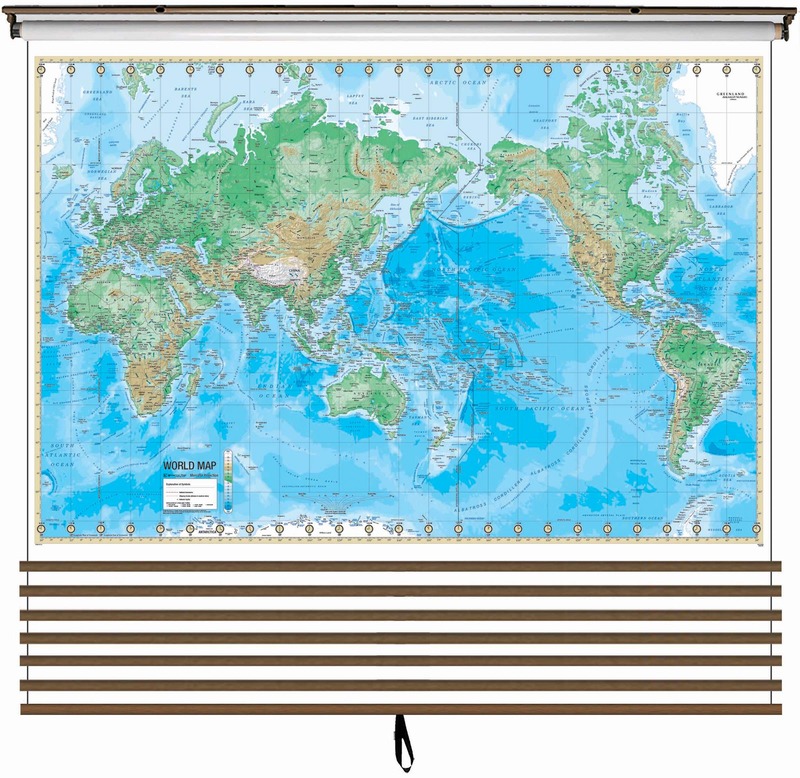 The Advanced Physical Wall Map series features innovative shaded relief detail of the world, continents, and the United States. This high quality series is appropriate for grades 6-12, and includes content that meets national and state curriculum standards. Four thematic inset maps enhance the value of the main map, featuring: annual rainfall; elevation profile; natural vegetation areas, plus areas of acid rain; population density per square mile and ethnic diversity; and energy resources and manufacturing areas. The world map features the Van Der Grinten projection. 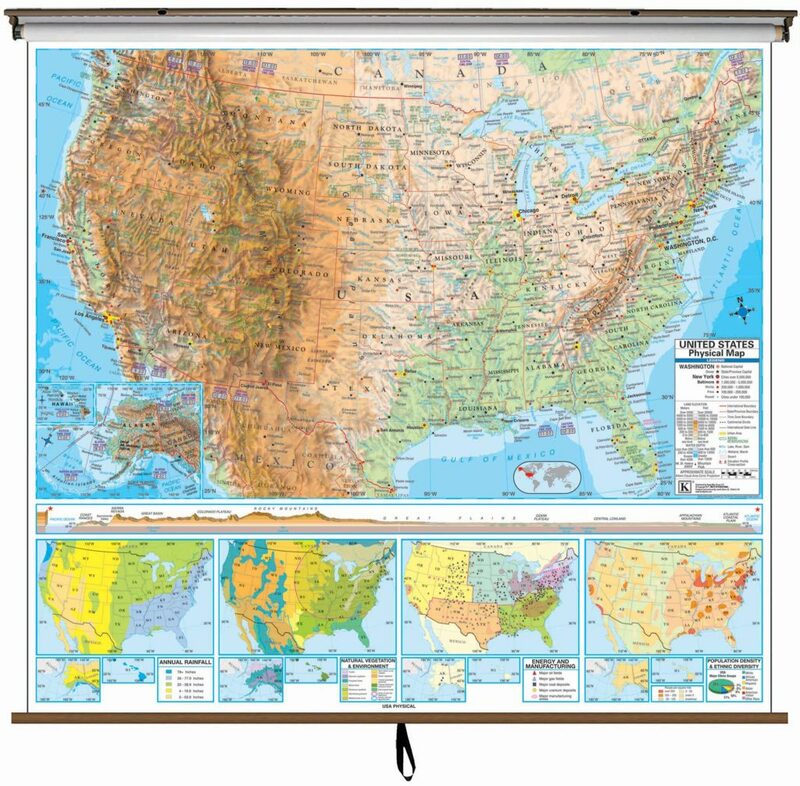 All maps in this series are markable with a dry erase or water-soluble marker. 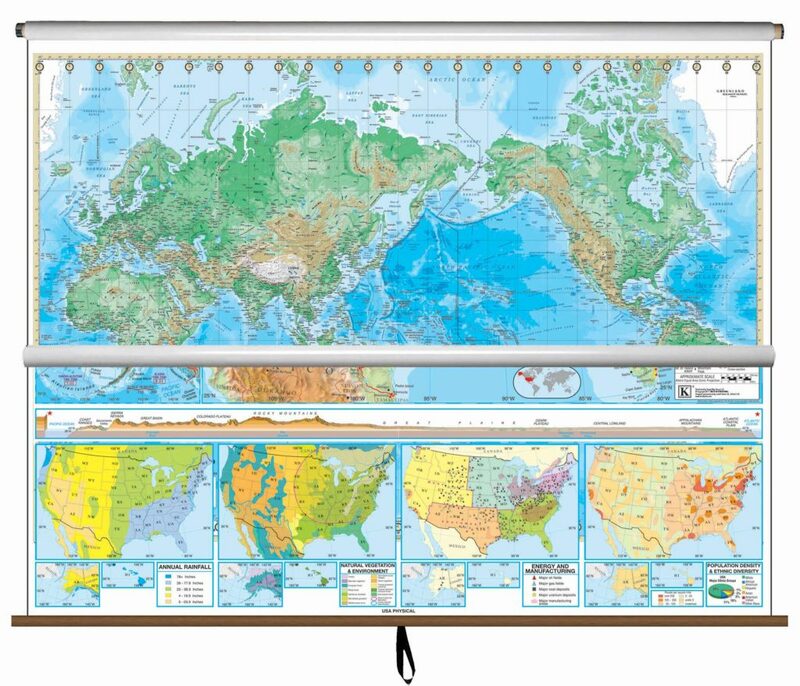 Durably laminated maps measure 64″ x 54”, and are mounted on roller with backboard and we provide all components to mount map on wall. 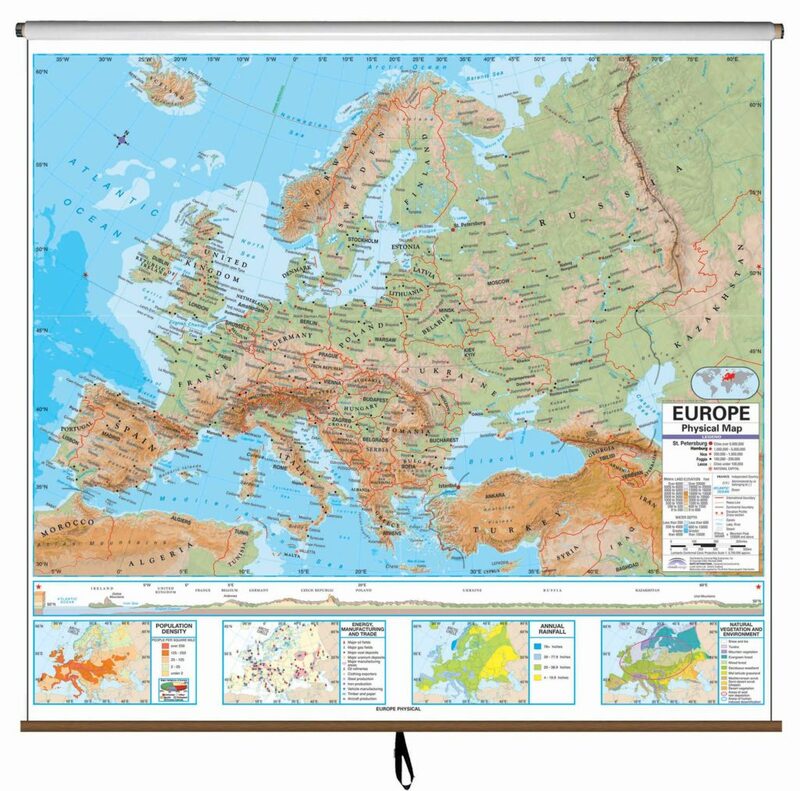 Please allow 2-4 weeks for delivery on multiple wall map custom sets. Kappa Map Group provides the largest selection of map titles of any US map publisher. © 2017 Kappa Map Group, LLC. All Rights Reserved.